And Moss has read her Gibbon. It’s all here, borrowed from the eighteenth-century master of an English prose far more wicked in its irony than Moss’s: the fraudulent numbers of the persecuted and killed, the “artful pen” of later Christian tricksters who embellished both the past and the inner vices of the early Church’s faithful, the self-serving formation of a culture of righteous resentment and hostility by pusillanimous Christians, and, of course, the proposal that the fictions and attitudes they engendered turned the Church into the world’s worst persecutor. So here’s the pitch: Conservatives in America think that traditional Christians are “persecuted” for their positions against abortion and homosexual marriage, but this is only a latter-day expression of an early Christian “myth” that relies on fraud to demonize opponents and stoke the fires of intolerance. That is the book in a nutshell. Those who know some Christian history will learn little here except, perhaps, something about the continuing intellectual dead ends of historical criticism. How does she draw this conclusion? Here is the most distressing scholarly aspect of her presentation: She simply asserts it and then, frankly, covers her tracks. Luke’s account of the Garden of Gethsemane, Moss explains, lacks Mark’s picture of Jesus in tormented personal anguish. Luke’s Jesus is calm, strong, “manly” (her characterization, not Luke’s). Clearly the writer of Luke was distressed by Mark’s ambivalent portrait and instead re-pictured Jesus as a wise philosopher facing death courageously. “Clear”? Did early Christians, far closer to the culture than we are, see these connections in Luke’s version? She does not tell us. (They didn’t.) And as Moss admits only in an endnote, Luke also has some verses regarding angels and bloody sweat that contradict her thesis, but she simply rejects these as manuscript variations, interpolated later. Still, the conclusion is, to her, crystal clear: “Luke’s heavy-handed editorial work [has] been devastating for our knowledge of what actually happened” in the Passion. Her conclusion? “What this means is that the earliest martyrdom account . . . is a pious fraud.” We can “trust” nothing about this “invention” who is Polycarp, except perhaps the bare fact that he was executed. One could go on. According to Moss’s criteria, if an account of persecution or martyrdom is later than the purported events themselves (hardly easy to prove), if there is evidence of “editing,” if more common literary forms are used in the telling, if there is a hint of theological sophistication, and so on, the account itself is fairly worthless. “There is no doubt,” she will frequently admit, that persecution and execution of Christians occurred, but she insists that why, to what extent, and with what actual self-understanding by participants is impossible to know. True, conservative Christians sometimes appeal to the witness of the apostles, even unto death, as something to emulate. But she offers no evidence that the “Sunday school” fantasies about Christians being thrown to the lions inform the Church’s current resistance to things like abortion. She simply ignores the importance of the early Church’s consistent practical and theological rejection of abortion and of other death-dealing customs like the gladiatorial games. Indeed, the experience of Christian persecution that touches today’s consciousness is much closer to home. 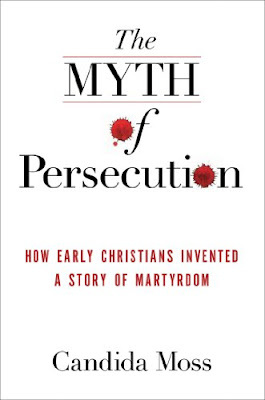 The work of David Barrett and groups like Voice of the Martyrs or Freedom House confirm that Christian martyrdom is very real and widespread . One could dispense with all the early Acts of the Martyrs, and it would make no difference: The “cloud of witnesses” that is constituted by Soviet Gulags, Chinese re-education camps, localized Islamic attacks, Latin American and African military regimes (and on and on) in the last fifty years alone—this set of examples is quite sufficient to provide markers for present Christian self-understanding. Current debates over the integrity of religious freedom in the United States (or in Europe, for that matter) are embedded in a history that has moved well beyond the provocative concerns of Gibbon. And he was himself expressing, with the developed whimsical cynicism of his circle, only the well-established anti-persecutory politics and rhetoric of late-seventeenth-century Anglicanism. That rhetoric was, ironically for Moss’ argument, as much inflamed by a re-embrace of an early martyr theology as it was repulsed by it. William Cave’s massively influential studies in the late seventeenth century of the early Church’s martyrs and their outlooks, for instance, gave rise not to pogroms but to the renewal of charitable works, education, and mission, to Methodist revival, and finally, if indirectly, to the Evangelical commitment to abolitionism. Questions of religious freedom mean something else now, in the wake of a shared commitment to the realities of human dignity that Christians helped shape but also elicited through their recognized failures. Having seen both the moral costs and the deprivations of the last fifty years around the globe, the general thrust of contemporary Christian concerns is aimed more clearly at the maintenance of the common good, however disputed, than at the suppression of human diversity. Thus, Christian worries over court-mandated curricula on reframed patterns of sexual life, the targeting of churches with charges of “hate speech” due to their moral convictions, the civil redefinitions of marriage, and the range of matters dealing with contraception and abortion are hardly stoked by ignorant pondering over fraudulent martyr stories. To argue this is to try to change the subject. Rather, the worries derive from the well-founded fear that a hard-won civil space in which a peaceable Christian expression of and witness to social renewal, as conservatives may see it, is being deliberately eroded. In her own way, Moss seems sympathetic with what she describes as Roman distaste of the early Christians: Their convictions were too upsetting socially (not religiously), and decency and order meant keeping them under control. This wasn’t real “persecution” but understandable and helpful “police action” (as the historian J. G. A. Pocock puts it in his description of Gibbon). It is superficially true that the particular meanings of Christian martyrdom are diverse and specific to their context. But the rooting of all Christian martyrdom in Christ’s Passion has in fact been a unifying aspect across the centuries, exerting its own divine power in both condemnatory and regenerative ways. Persecuting behaviors by Christians and competing martyrdoms among them have blasphemed God. Christians have been forced to admit and confront this. 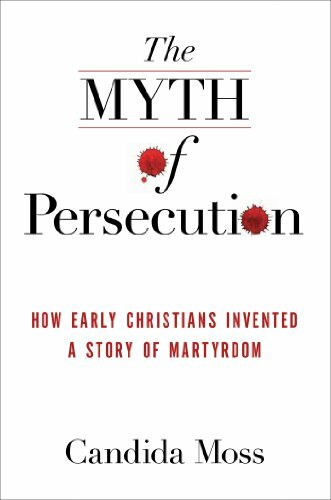 But as a result, martyrdom has also produced a consistent converting movement, much as it did among the early Christians, drawing the attention, repentance, and wonder of onlookers in ever new ways. The “ecumenism of martyrdom” encouraged by the last two popes is an example of this. Christian martyrdom’s power, which is a historical phenomenon and stands as an important piece of evidence in its own right, is bound to its religious meaning. The two cannot be separated, and together they shed light on the early Church’s witness. Minimalist readings of that early record are certainly possible. But Moss draws radically negative speculative conclusions from it: It is all a sham. This isn’t history but an ideologically charged refusal to deal with the moral consistency of Christian martyrdom, both in the first centuries and as it is still in fact suffered. This refusal marks an indifference in the face of Christian martyrdom’s deep political challenges. The indifference itself hints at the irrelevance of her main project. Ephraim Radner, a member of First Things’ advisory council, is professor of historical theology at Wycliffe College in Toronto.